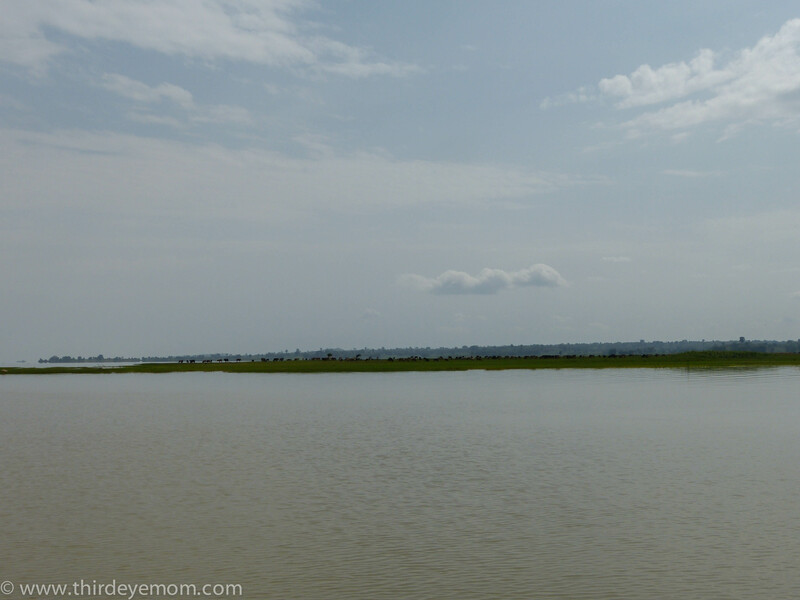 A few hours after my morning encounter with the papyrus boat fisherman and the hippos off the shore of my hotel, it was time to explore the beauty and mysticism of Lake Tana for myself. 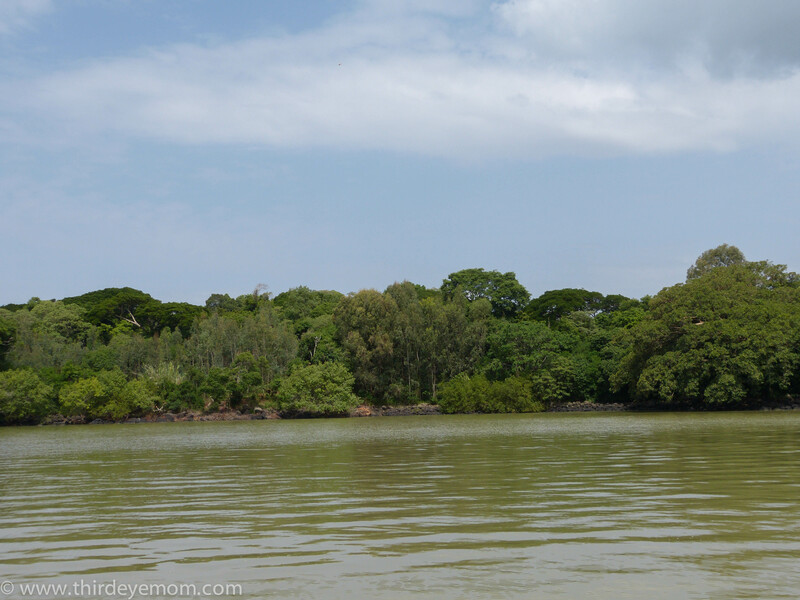 I convinced a few friends of mine from our reporting trip to join me on a boat tour of Lake Tana in search of hippos and ancient monasteries. 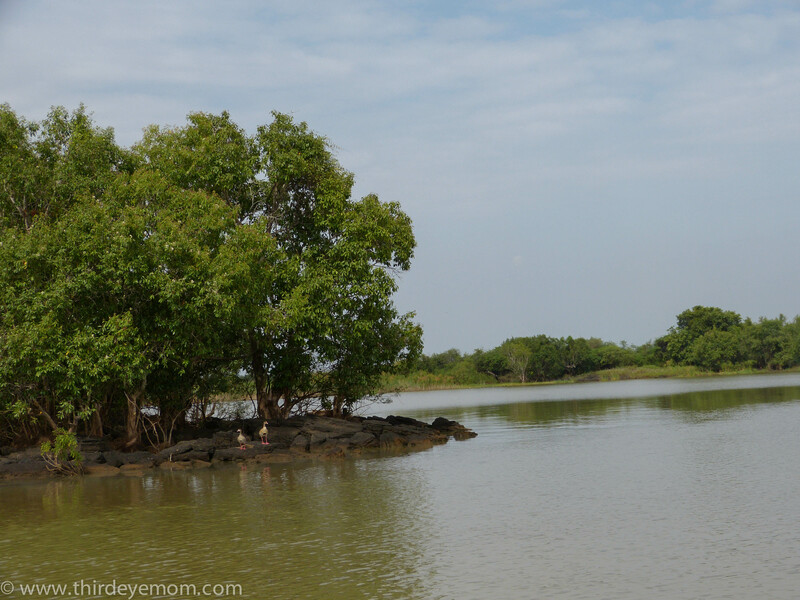 37 islands dot the waters of Lake Tana which are home to over a dozen monasteries dating back to the 14th and 15th centuries. I had heard that the monasteries were magnificent and contained treasure troves of beautiful artwork inside their mysterious doors. The idea of walking inside one of these ancient monasteries piqued my curiosity and imagination. 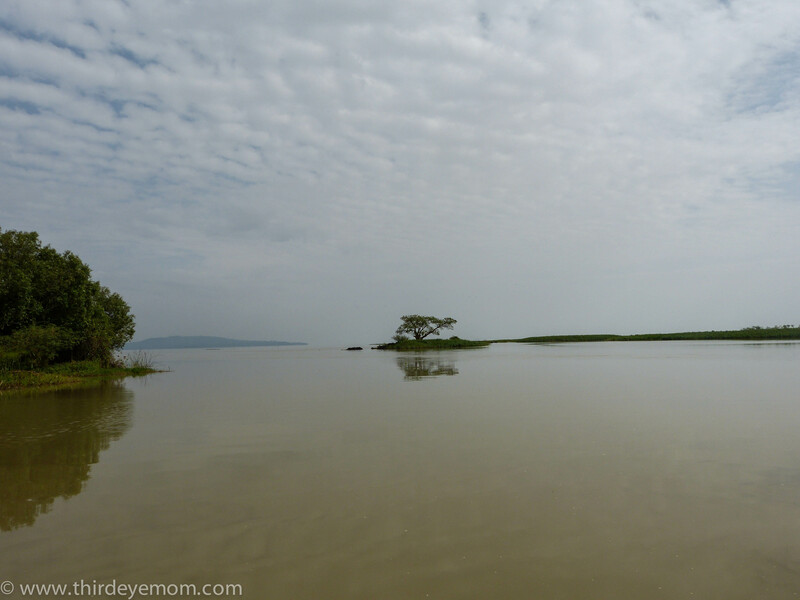 Given Lake Tana’s enormous size (over 3,500 square kilometers ), there was no way we could possibly see everything in one afternoon. 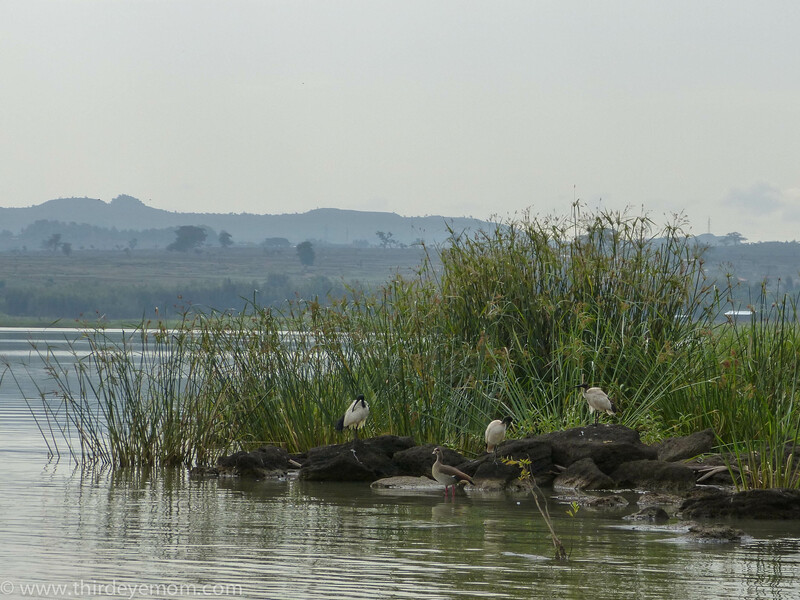 We opted for a three-hour tour with the goal of visiting 3-4 monasteries and driving out to the source of the Blue Nile in search of hippos. 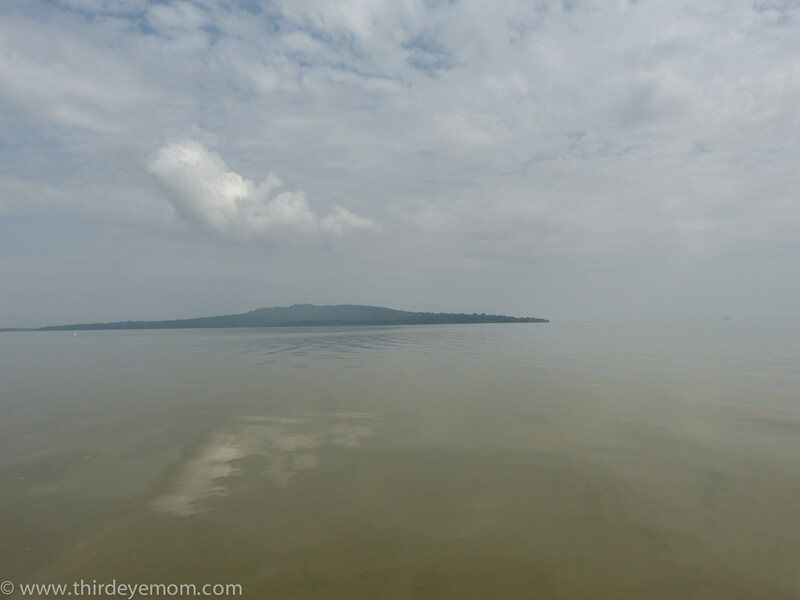 Our boat left directly from our hotel off into the calm, milky brown waters of Lake Tana. 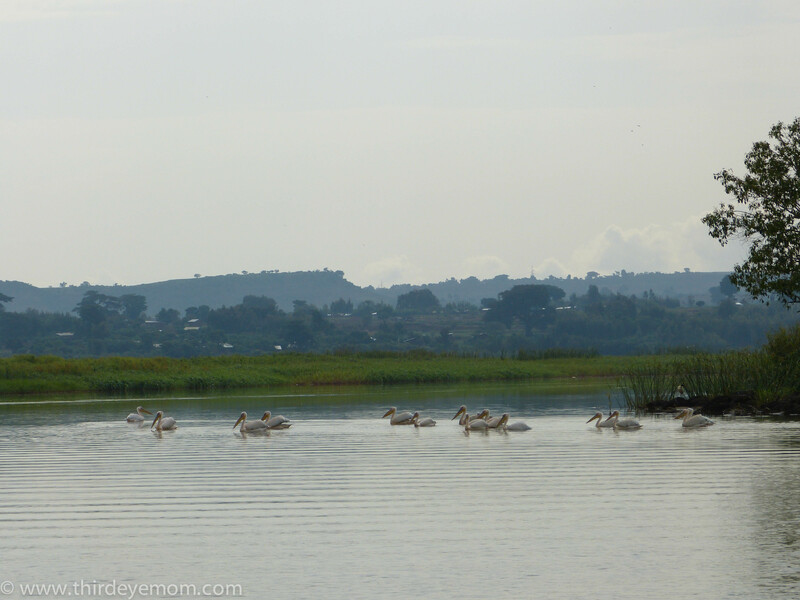 Nature surrounds us at Avanti Hotel where we see hippos and tons of birdlife. The sky was gray in the mid-morning light. I was hoping that the thick cloud cover would soon disperse and reward us with a clear, sunny day. It did clear up but not until an hour or so later into our ride. 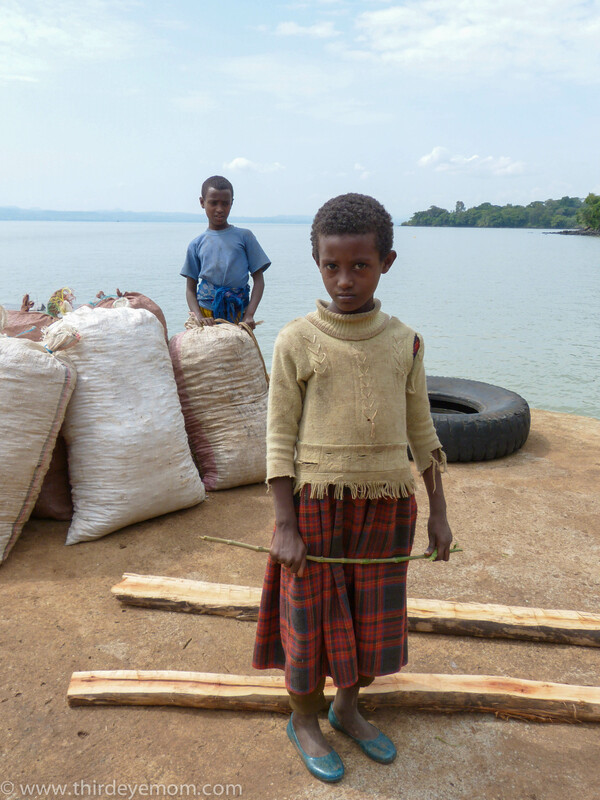 Setting off onto lake Tana. My lovely friend Elizabeth of www.documama.org watching the world go by. 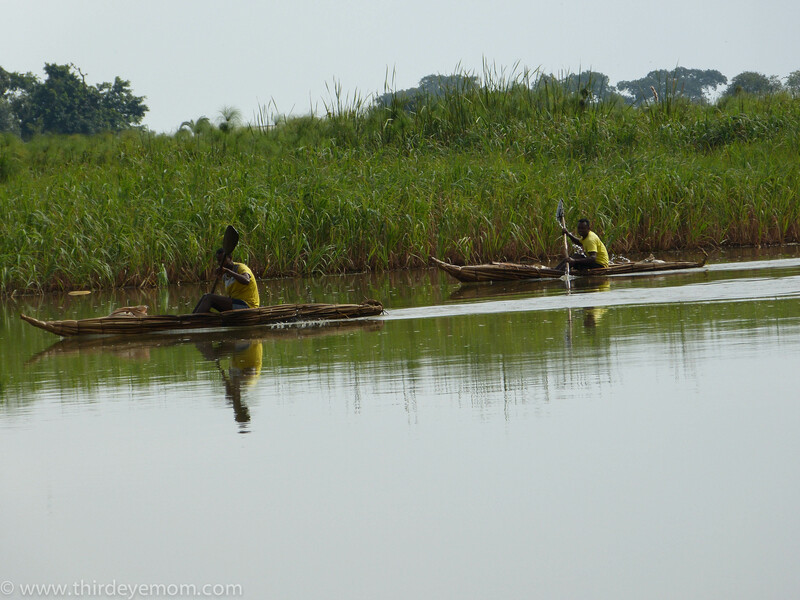 It felt strange being on a motorized boat and speeding past the fisherman in their delicate, handmade papyrus boats. I wished we could have stopped and talked with them. I am certain they would have had many stories to share. 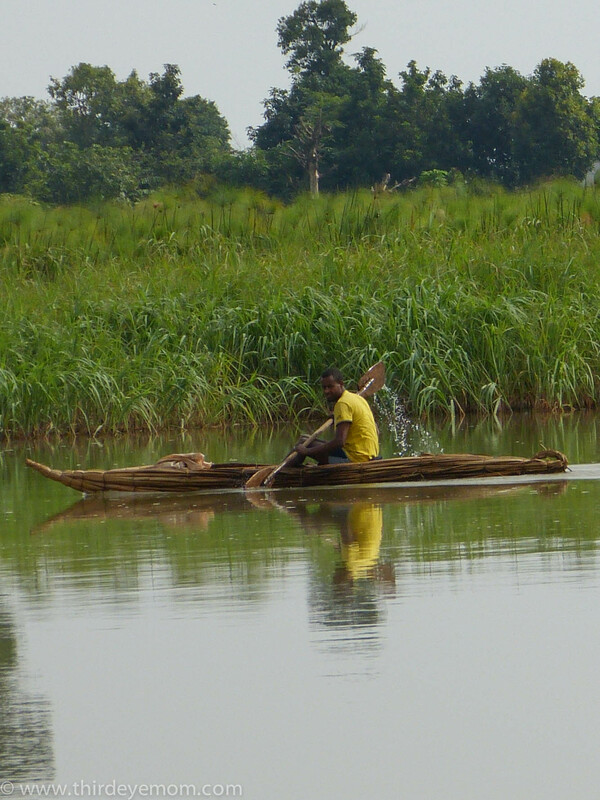 Passing by a fisherman on a papyrus boat. 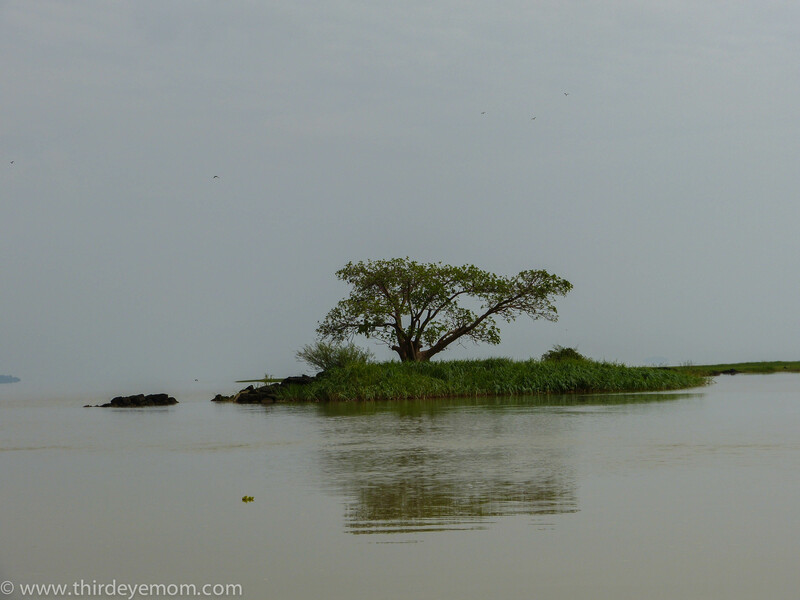 We glided across the peaceful, calm waters of Lake Tana peering across the top in search of hippos. 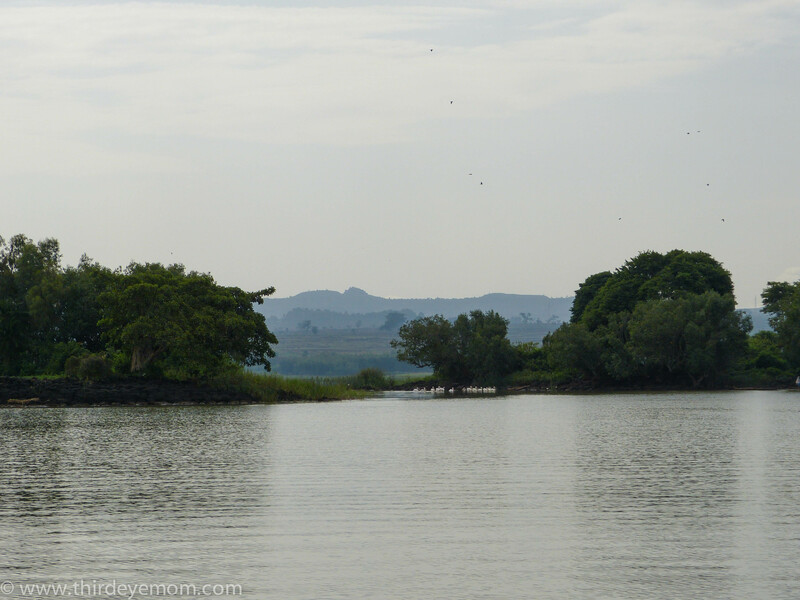 Apparently large pods of 20-30 hippos like to hang out and relax where Lake Tana drains into the Blue Nile River. We never saw a pod but we did see a couple off in the distance. 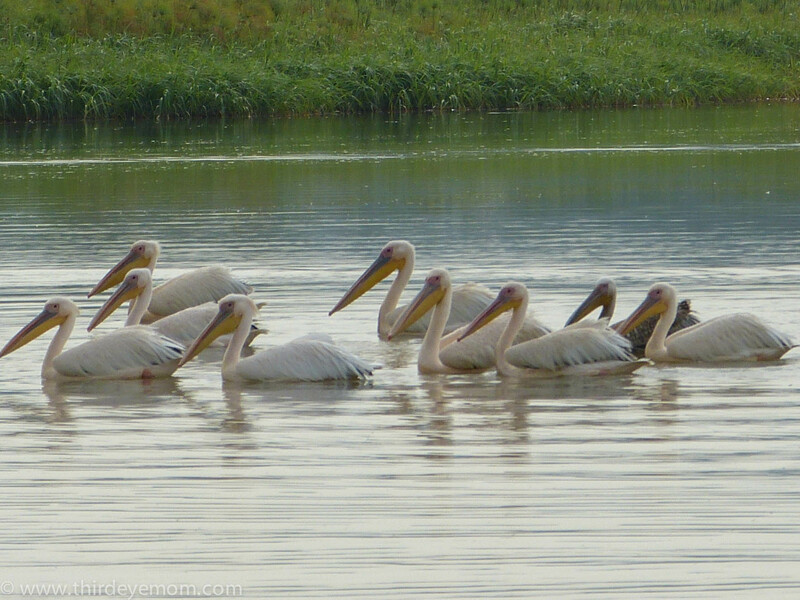 I wasn’t able to capture any of them on film as the moment our boat approached them, they submerged like a submarine. 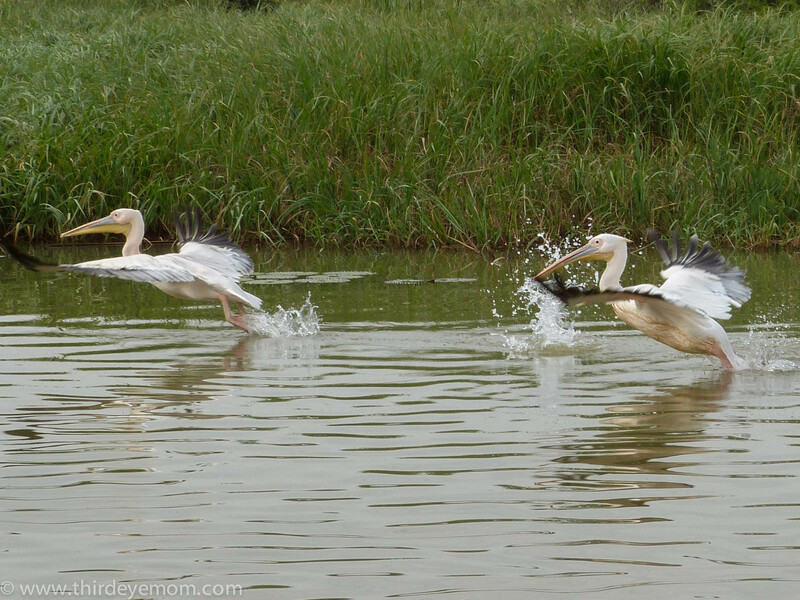 Fortunately there was plenty of other wildlife to keep us entertained like the pelicans. 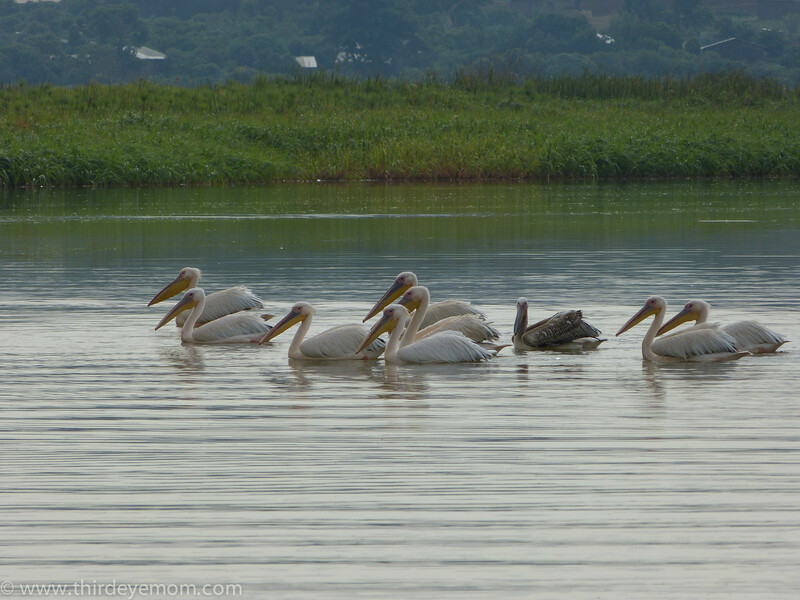 Other interesting birds and reptiles also live along the shores and islands of Lake Tana. 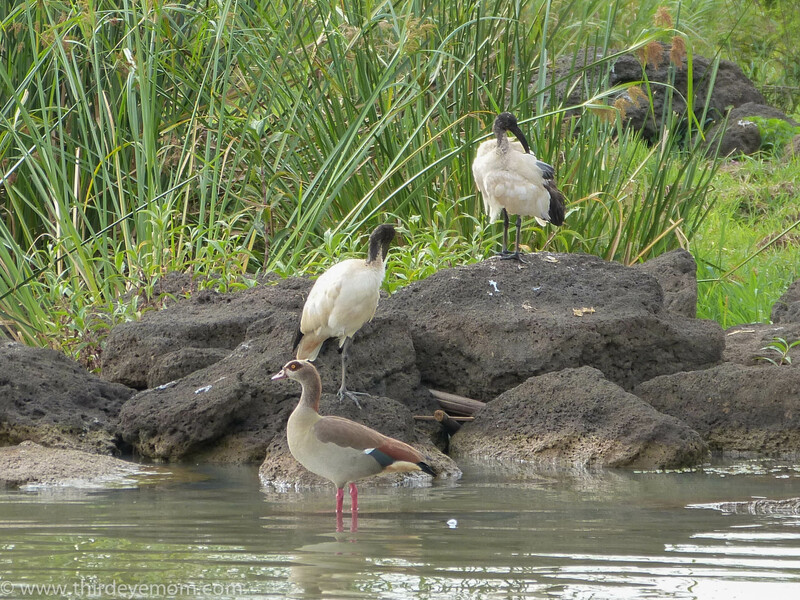 I’m not sure what these birds are in the white and black but they are beautiful. 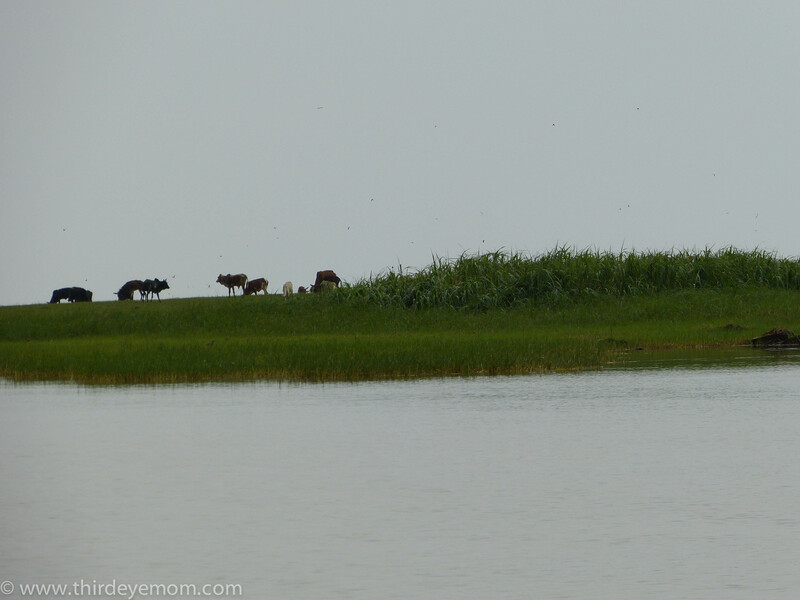 We even saw cows along a peninsula off in the distance. It was an unusual sight! 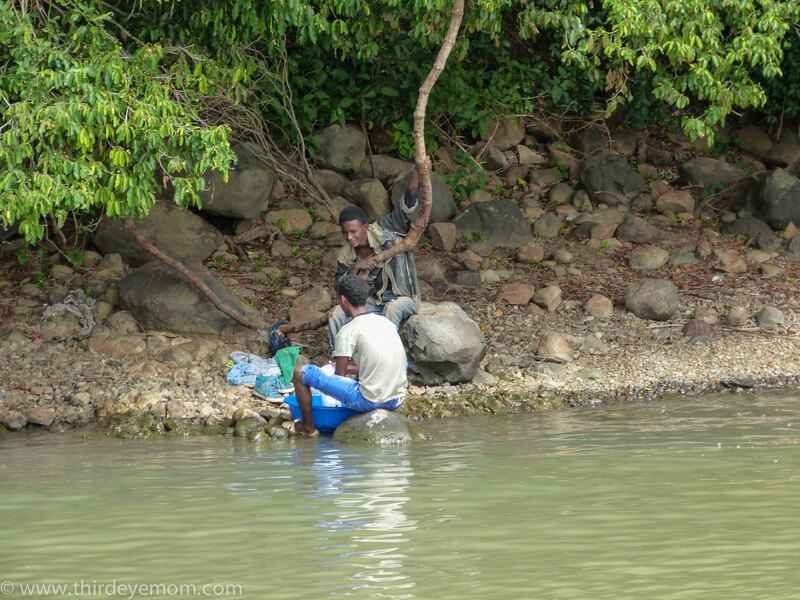 We also spotted some more fisherman along the way. 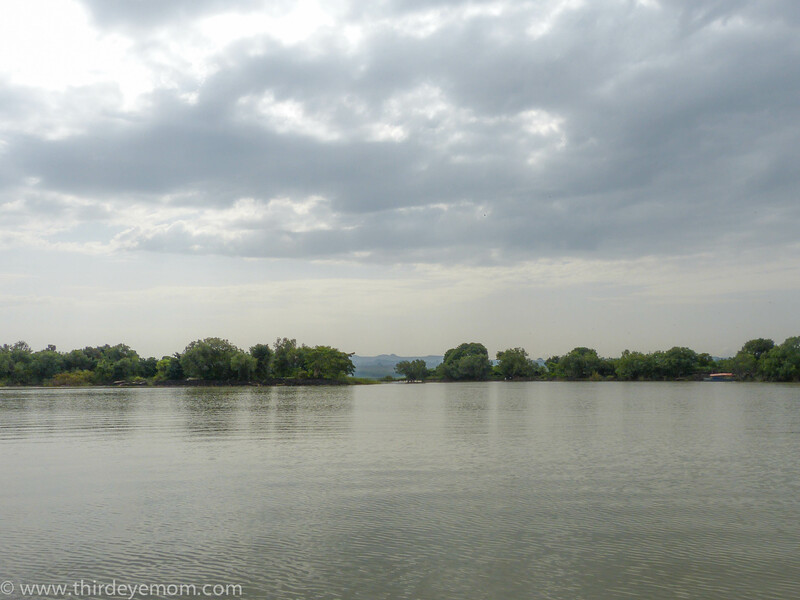 With no luck finding hippos, it was time to continue our tour and head over to see some of the island monasteries that makes Lake Tana so fascinating. The views along the way were spectacular even with the clouds. A lone island off in the distance. 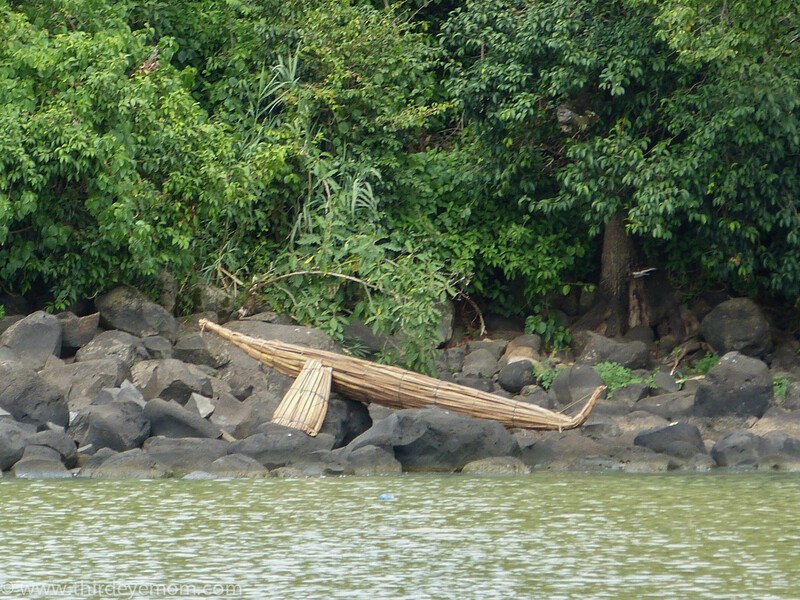 The lake was relatively quiet save the few birds and papyrus boats gliding by. 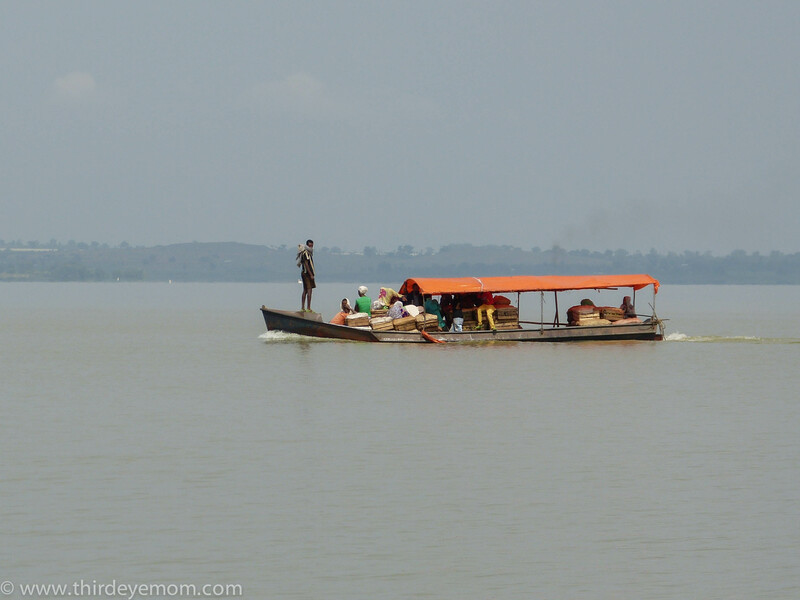 There were no other tourist boats on the lake for it was low season. We would be the only arrivals at the few monasteries we would see that day. 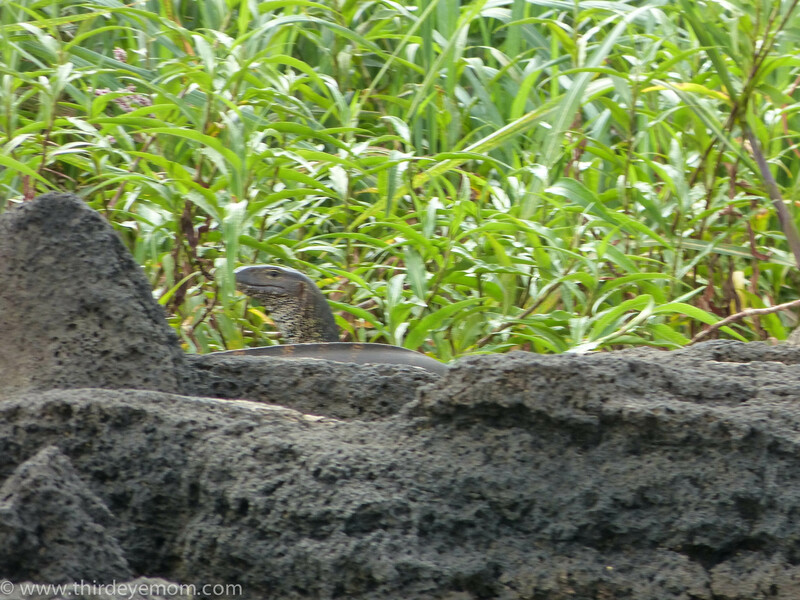 The locals were eagerly awaiting our arrival in hopes of gaining some much-needed tourist dollars. 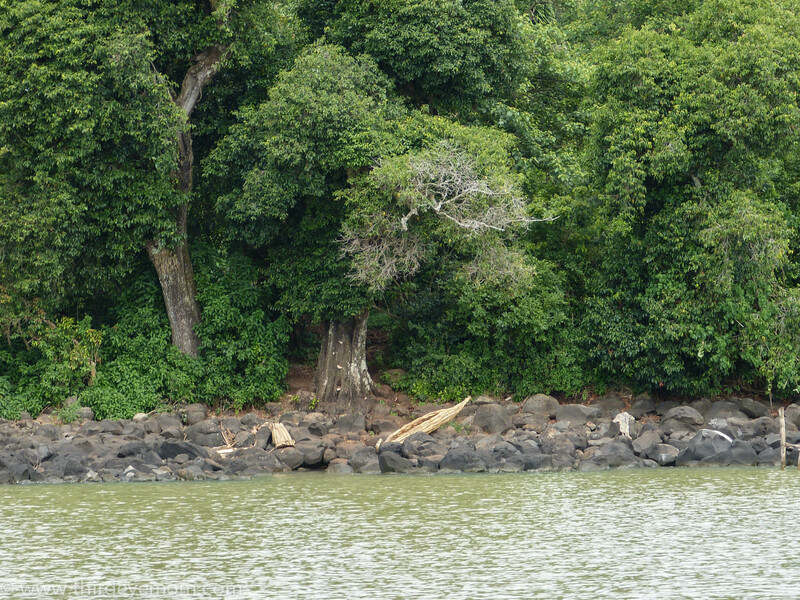 Besides selling firewood, tourism was the other main industry of the islands. 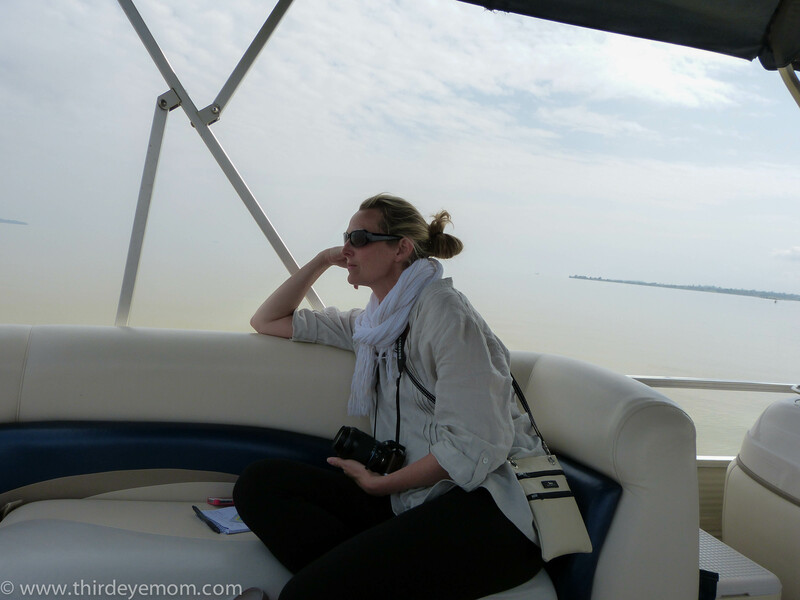 First sight of the beautiful The Zege Peninsula. Approaching our first stop: The Zege Peninsula. 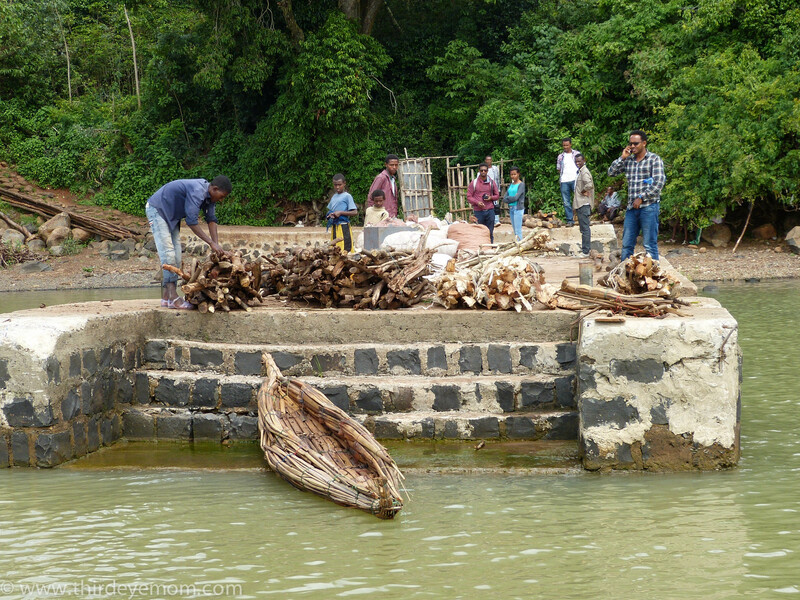 Firewood is being loaded onto a papyrus boat to make the 6 hour journey to Bahir Dar, a journey that we could make in only 15 minutes on a motor boat. The wooded shores of the The Zege Peninsula. 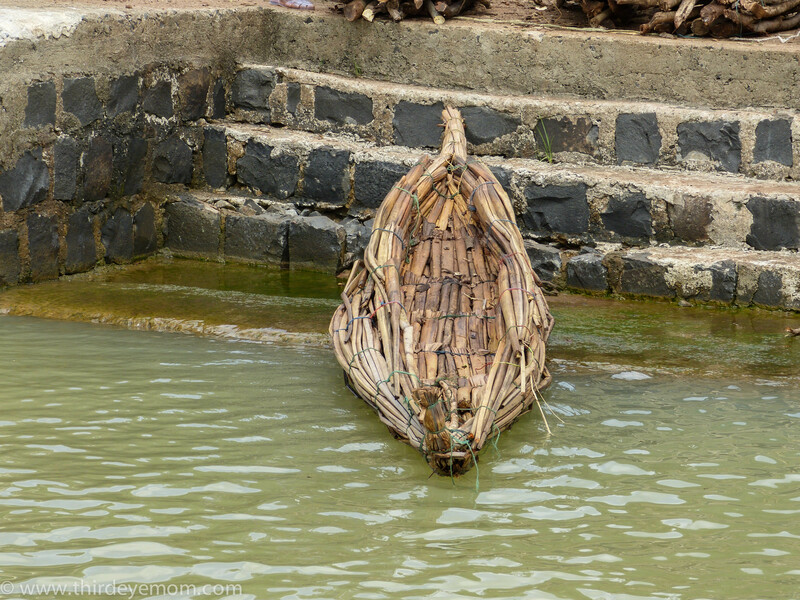 A papyrus boat rests ashore. Our boat was the only boat arriving that day per our driver. In high season, the The Zege Peninsula can see as many as twenty boats like ours brining in much-needed tourist dollars to the area. We were met with curiosity, kindness and lots of smiles. Meanwhile makeshift shop stalls were quickly being set up along the wooded path to the monastery. 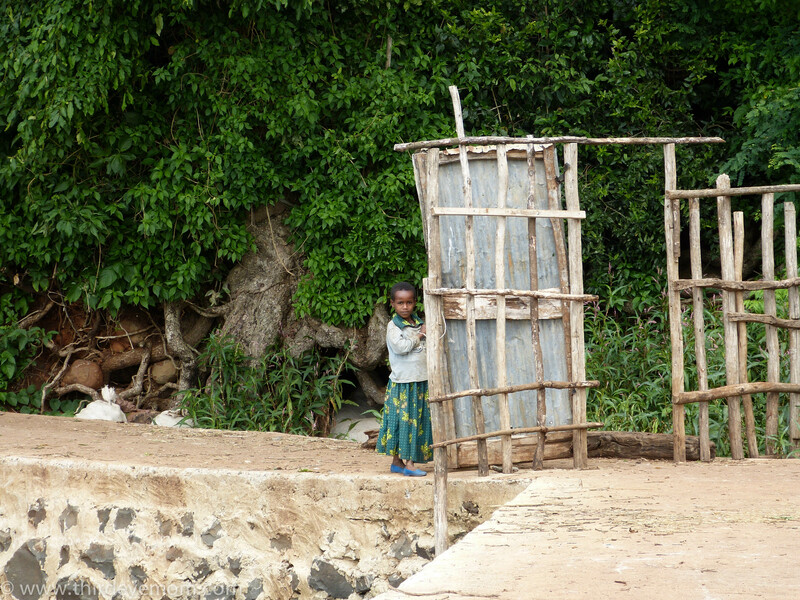 Girl watching us cautiously get off the boat. We were instant friends when we took their photos and gave them a Polaroid copy perhaps their only photo of themselves. 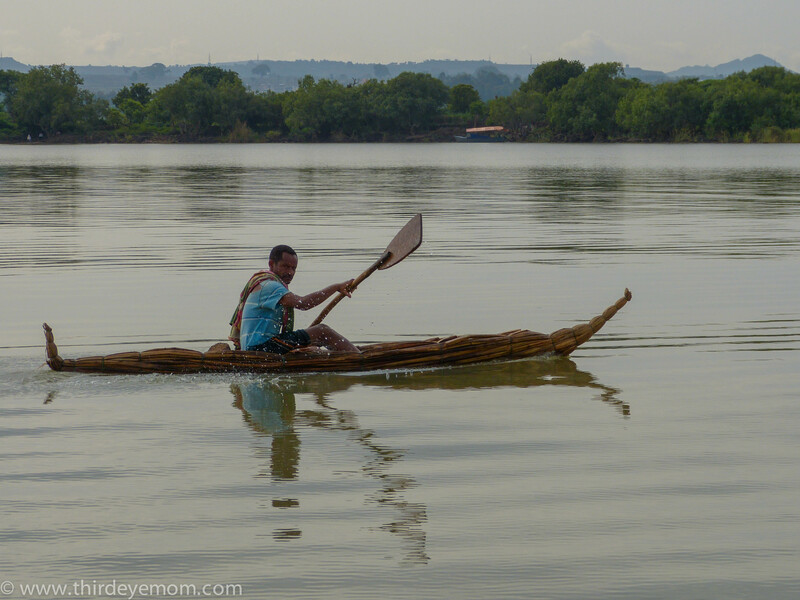 For a small fee, we paid our local guide who was waiting at the docks. Tourists are unable to enter the monasteries without a tour guide who was with us from start to finish of our visit. We were also met with the curious smile of the local children who I could hardly resist! Then she gave us a big, bright smile. 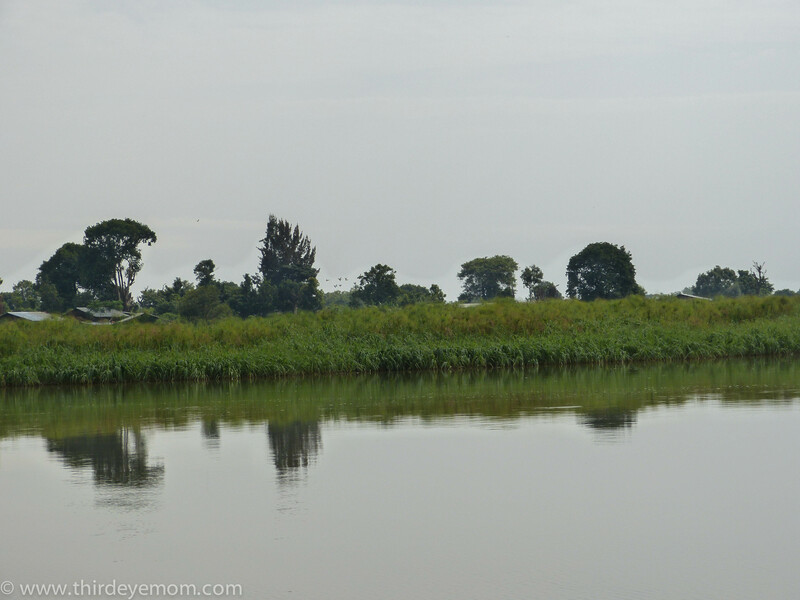 I was in Ethiopia in June as a reporting fellow with the International Reporting Project. To see all my stories from the trip, click here. Amazing photos, Nicole! Can’t wait to hear about the monasteries! 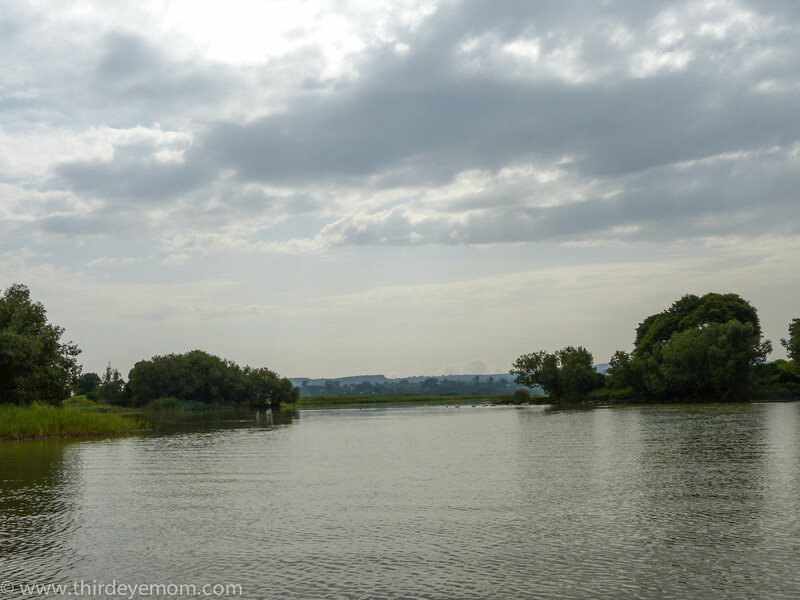 Every photo is beautiful, the river, birds, lone island, boats, kids, and people. Peaceful scenery. It’s quite moving to see the little girl’s smile… Thank you for the tour, Nicole! Thanks so much Amy! I am so glad you enjoyed the post and all the photos! 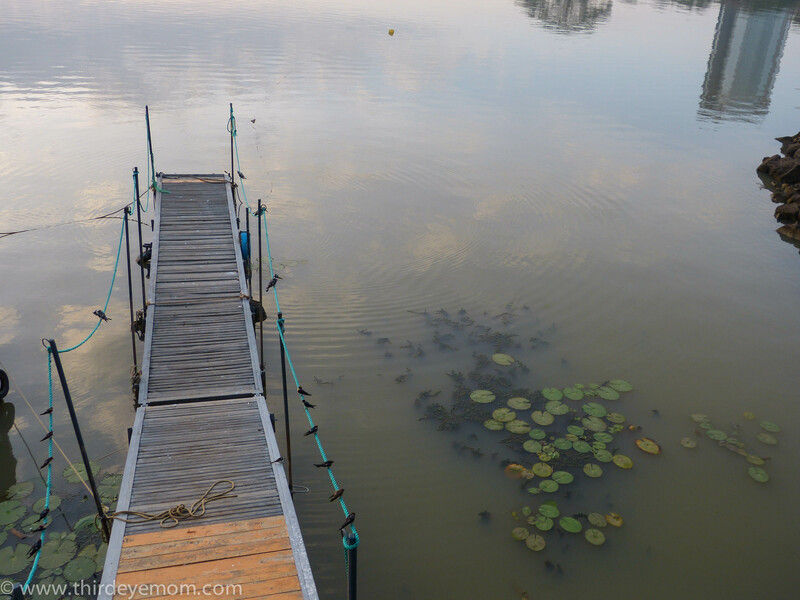 Love the the photos especially the lone island one. I am thinking the children must have been amazed with the Polaroid photos. What a great idea! Thanks Sue! Yes the one of the lone island is my favorite too! I may have to put that one up somewhere in my house. I loved the Polaroid. It is amazing the reaction we got when we gave them the pictures. They also loved it when we took videos of them and played them back on our iPhones. 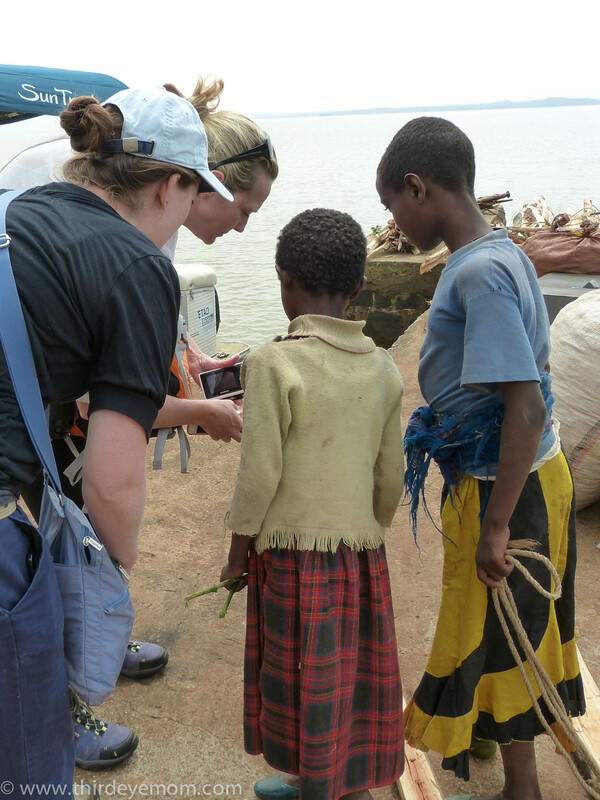 I think a lot of rural Ethiopians have never ever seen themselves recorded and they couldn’t get over it! Wonderful Terri! I can only imagine that they loved the polaroids. This is my friends and I think I am going to buy one as well as it was a huge hit. We also used our cellphones to record video of the women weaving and they LOVED it! They had never seen themselves filmed so it was a huge hit and a great way to make friendships even when you don’t speak the same language. 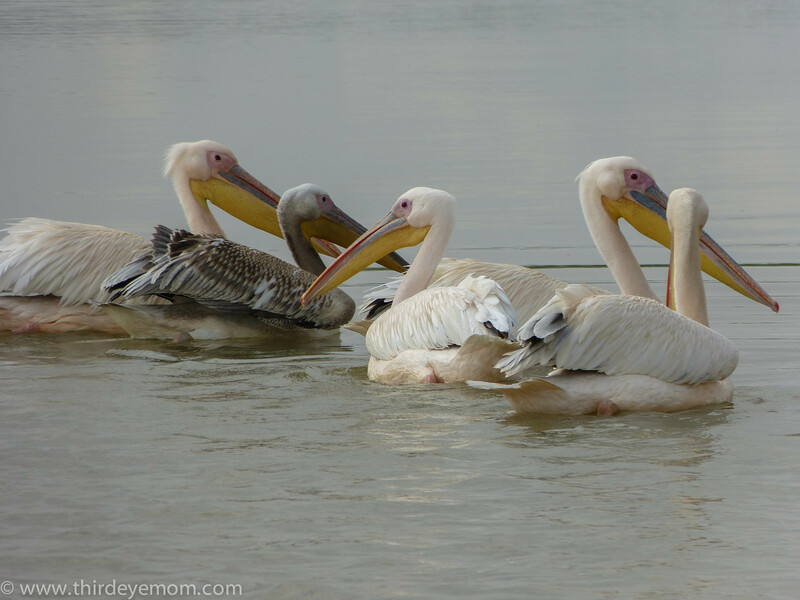 Wonderful set of images, especially the pelicans. The amazement and joy of the instant photo was a particularly poignant touch. Thanks Sally! Yes, the polaroid was a hit as was the cellphone videos. The women loved watching themselves on film and couldn’t get enough of it. A wonderful way to open doors. One of my absolute favorite days! Love this post! Thanks! I LOVED this day. It was so amazing! Thanks Sylvia. 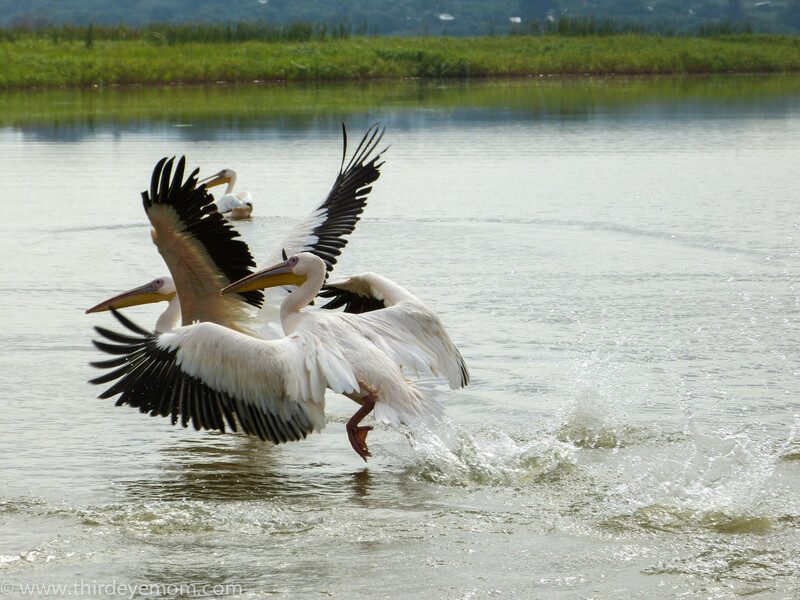 I will have to google wood storks. Do you have them near you? I thought the birds were lovely! Beautiful people. What a cruise! Ha Ha! It is because I take way too many photos and have too hard of a time trying to cut them down. I know it would be better for reading if there were less pictures but I just can’t help myself! 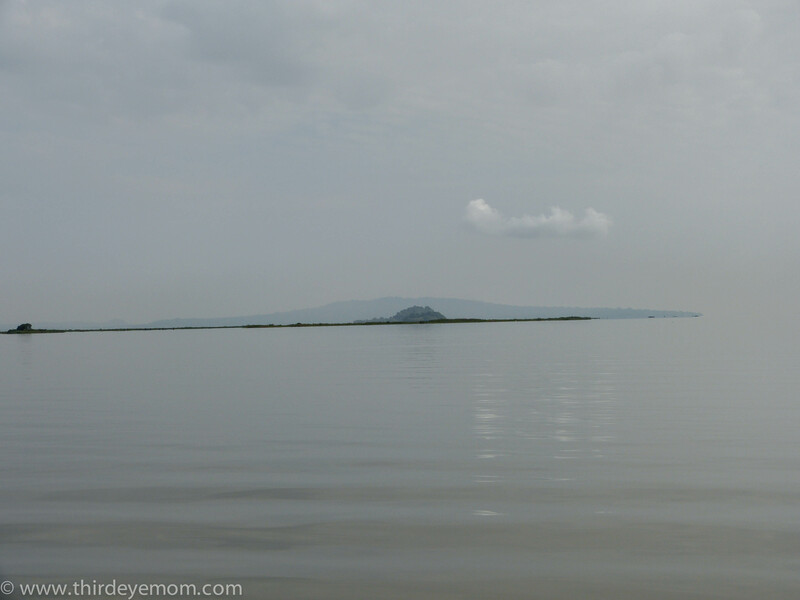 I never realized how enormous Lake Tana is. Amazing photos, Nicole. I was going to ask how long it took for the fishermen to travel from one place on the lake to another, but you answered it for me. I love that little Polaroid hand held printer. That would be a great thing to have when traveling. Can’t wait for the next visit to the monastery. Thanks Debbie! Yes it is quite an amazing place. I wish I had more time there. 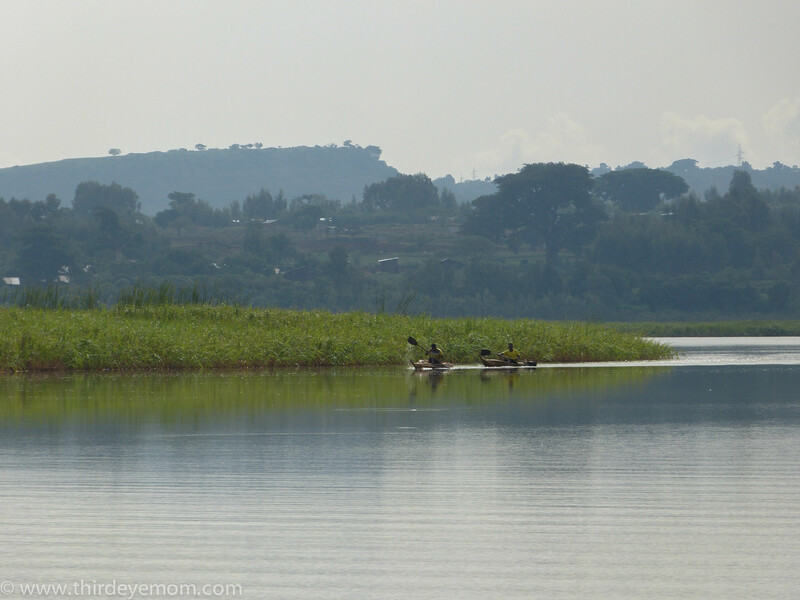 I would love to explore more of Northern Ethiopia. It is pretty amazing and I just saw a tiny sliver of it. Also it is very safe.